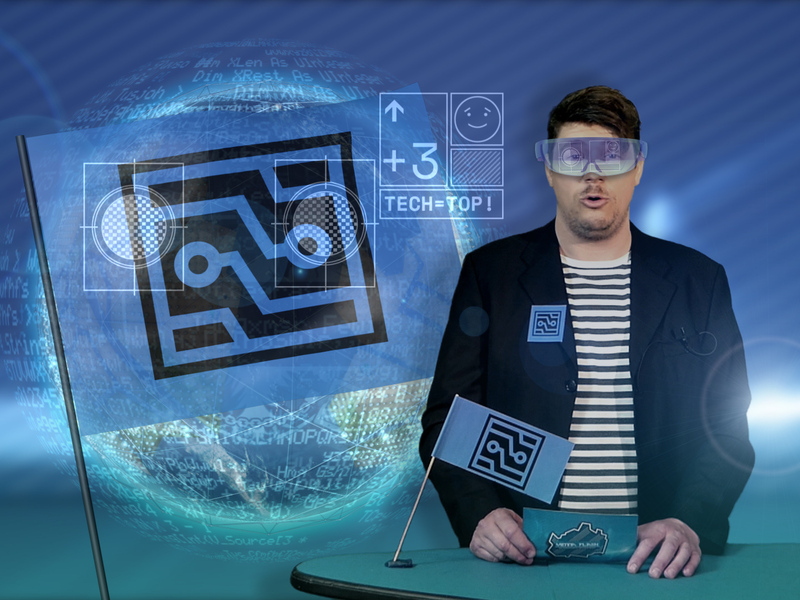 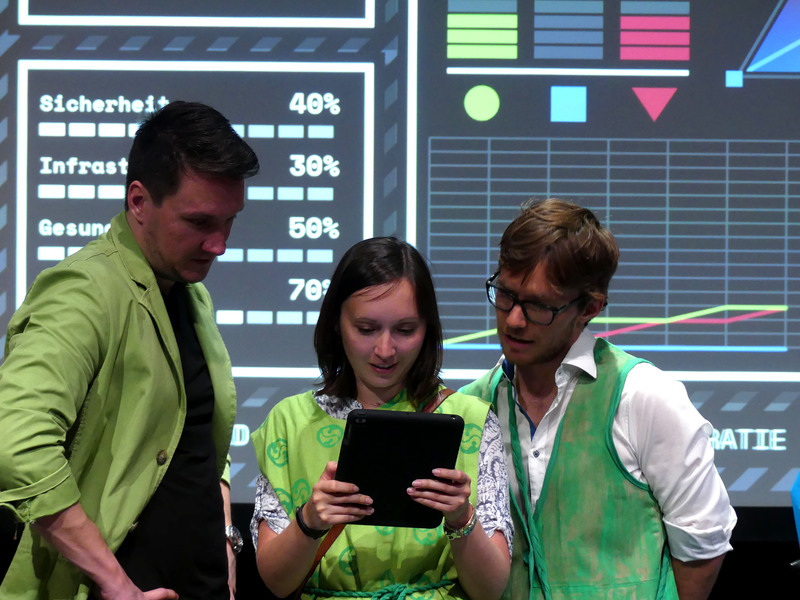 This week Georg Hobmeier und Reinhold Bidner finalise their work on the Augmented Reality Projekt "Vienna - All Tomorrows", Premiere is on May 25th at Volx Margareten (Volkstheater Wien). 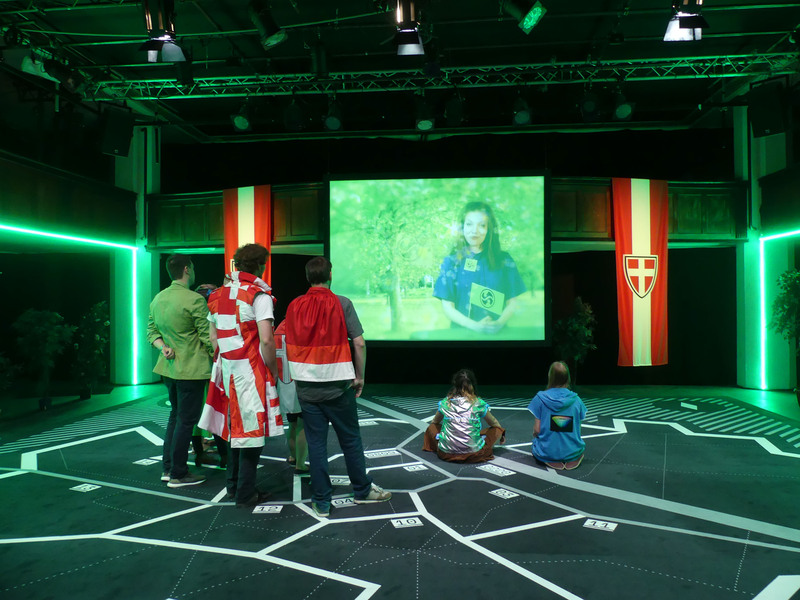 "Vienna - All Tomorrows" is game, installation and simulation. 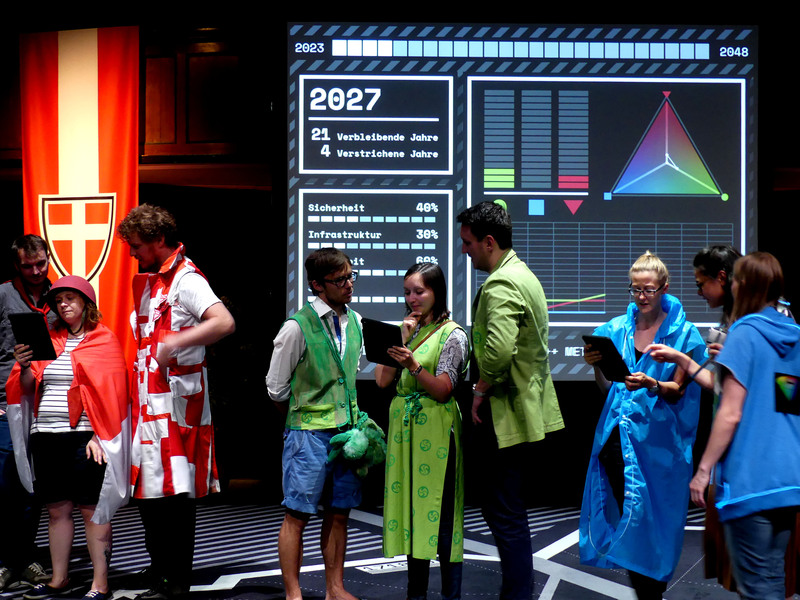 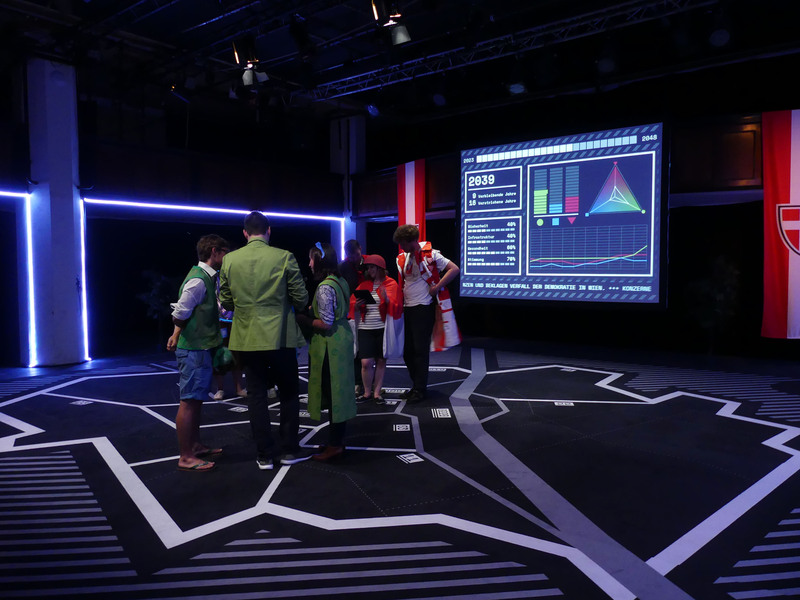 The audience plays on a City Map of a future Vienna, which is packed with speculative information. 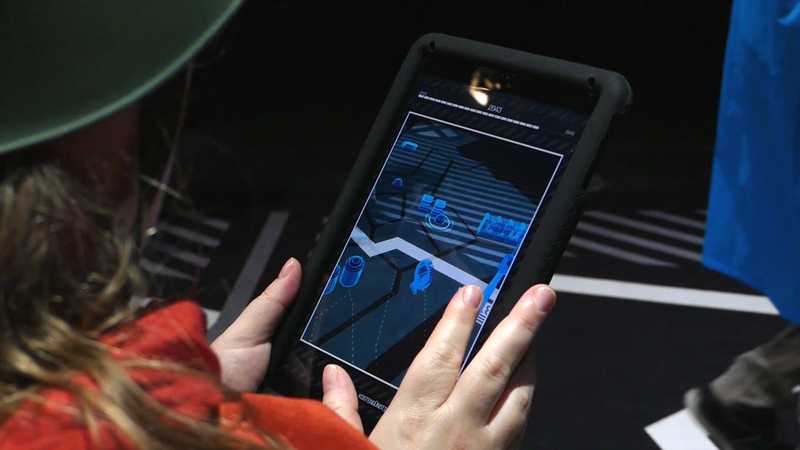 The audience can explore this information with Augmented-Reality-Technology and in that way can create a future city of Vienna.